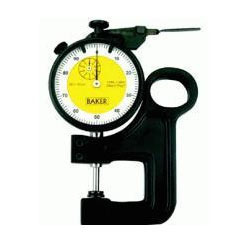 We are authorized dealer of baker brand measuring instruments. Suitable for quick and easy measurements of depths. Base with 80 mm length hardened and ground to a high degree of flatness. 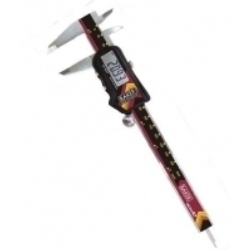 Supplied with a set of extension rods for measurement of wide variety of depths. Supplied with Tungsten Carbide contact point for longer life..
For the American market, Depth Gauges meeting the requirements of AGD standard available. 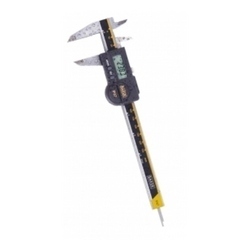 We have 150mm,200mm,300mm 500mm digital ,dial and plain verniar caliper. 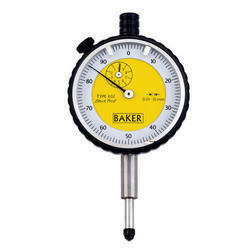 We have ready stock baker hip thread plug and ring gauges. 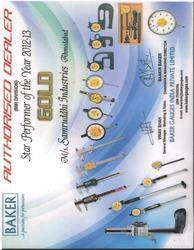 We have authorised dealer and service centre for baker products in gujarat. Baker give 6month warrantee against mfg. Dfects all product. With calibration certificate giving specified and actual values. The metric gauges for markets like India, Europe, South America, Japan etc. conform to IS, ISO & DIN JIS specifications with anvil thread M2.5 and clamping stem dia.8mm. The inch gauges for U.S.A and Canada markets conform to ANSI specifications with anvil thread #4-48 UNF and clamping stem dia. 3/8inch. Suppled in INCH and METRIC least count. Available in different throat depths, suitable for different measurement requirements. 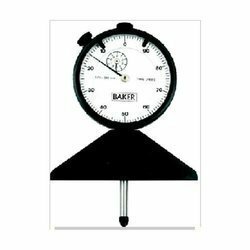 In series J130, J138/L, and J142, measurement pressure is independent of the user, resulting in accurate readings of thickness without personal bias. J138. 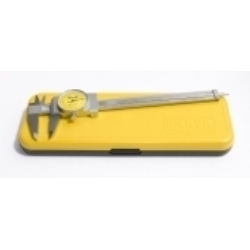 'Push Down Type' thickness gauge is particularly useful where fine measurement is not required - for example plywood. Pushing down the plunger with the index finger closes the measuring contacts. 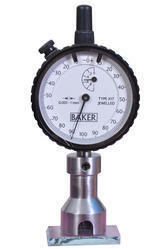 Well-balanced frames and handgrips coupled with lightweight make these gauges easy to use for the measurement. Available in different readings and travels. Supplied with 10 mm anvil as standard. 20 mm and larger available on request. 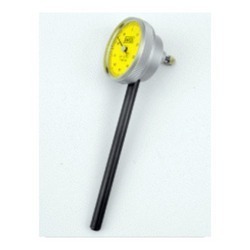 For the American market, thickness gauges meeting the requirements of AGD standard available. Robustly constructed, Stainless Steel column with clearly marked scale graduation. A clear Multifunction Digital LCD display runs smoothly on the Analog vertical scale. Fine adjustment with lock provided for ease of setting. For easy and precise maneuverability the base has a specially designed thumb grip. Functions consist of Power ON/OFF, bsolute/Incremental mode, mm/in., Preset, Hold, and Tolerance setting. Powered by easily replaceable Silver Oxide Battery. Operating environment – Temperature 5 to 45 degrees C at < or = 80% Humidity. Each caliper carries a calibration certificate giving actual values. 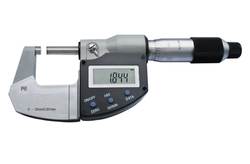 Each micrometer supplied with a certificate of calibration. Rotating display (270 degrees ) with extra large digits for excellent visibility. Hardened and ground stainless steel plunger and stem. 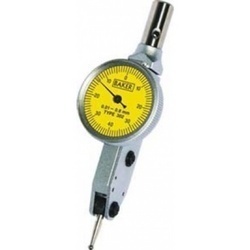 Same gauge can be set to 0.01 mm/ 0.0005 in. reading depending on application. Each gauge caliper carries a calibration certificate giving actual values. Small dial diameter – convenient for use where the larger dial diameters are not possible to be used particularly in small places. Ideal for smaller bore gauges like 10 to 18mm Bore gauges. 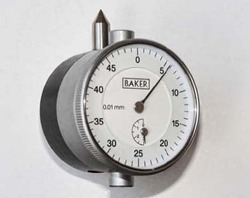 A unique face reading dial gauge with sensing plunger at right angles to the dial. 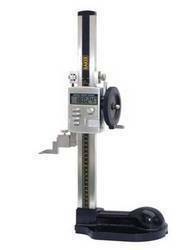 For the American market, Universal Test Set meeting the requirements of AGD standard available. Small bores from 10mm to 18mm. Highly versatile 18-50mm bore gauge covers a large range for which one needs to generally purchase 2 bore gauges having ranges Ø 18-35mm and Ø 35-60mm. The third bore gauge covering a range of 50-150 mm, is widely used in Automobile, Aircraft, Engine and Pump manufacturers. Extra wide bridge ensures automatic centering in the bore. 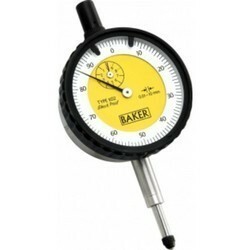 Self- centralising feature of this bore gauge ensures that the measurement can be done with minimum of skill. Furnished in a sleek wooden case containing measurement anvils and extension rods with necessary tools. Highest degree of Ingress Protection to a hand-held instrument of its type, IP67 (according to IEC 60529). Unconditional immunity to penetration of liquids or dust. 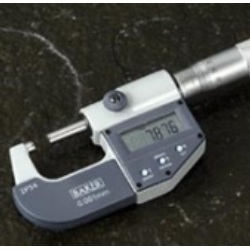 Reliability and Accuracy of measuring tool is assured even in the most hostile workshop environment. High contrast Liquid Crystal Display Ergonomic beam design increases comfort; reduces fatigue. 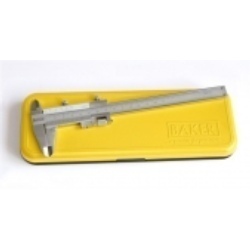 Looking for Baker Measuring Instruments ?